Treated Pine Decking has always been a favourite for many when it comes to choosing a decking material for a new deck or new timber patio. 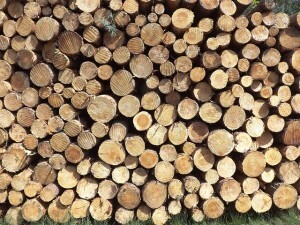 It is in fact the most common timber used in deck building. There are many advantages of treated pine decking, and some disadvantages too. There are also some other very good other options for decking such as spotted gum, blackbutt and kwila decking. A further option that is getting increasingly popular is composite decking. Radiata pine is the softwood that is treated and is then referred to as treated pine. Treated pine is green in colour due to the treatment. The treatment includes pressure treatment; the timber is saturated and then completely dried. 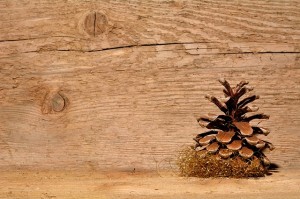 Treated pine wood will have been treated by one of three ways to make it rot, fungi and termite resistant. The first is copper chrome arsenic treatment. Whilst this treatment is still legal there have been safety concerns about the arsenic component. The second method of treatment is alkaline copper and quaternary which has grown in popularity due to the concerns about the arsenic component of alkaline copper chrome arsenic treatment. This treatment is equally as effective as the copper chrome arsenic treatment. The third alternative treatment is light organic solvent preservative (LOSP). This treatment requires less pressure in the treatment process. Whilst this does not affect the durability of the timber, LOSP treated pine need the ends of the timber to be sealed with a sealant if the timber is cut and the end is to go in the ground. Being a softwood treatment of pine is essential to increase the longevity of the wood, its service life and to protect it against decay and insect attacks. Treated pine decking is the cheapest timber available for use when building a deck. Treated pine is considered to be a good durable decking material. When we at All We Do Is Decks build a deck using treated pine, we always use H3 classified timber for decking boards and H4 classified timber for posts. Treated pine is considered to be an extremely environmentally friendly material. This is because most of the pine is sourced from tree plantations in Australia and New Zealand rather than virgin forests overseas. In addition pine trees grow pretty quickly so much so that when it is time to replace your deck, new pine trees will have already been grown. Treated pine boards also provide consistency as boards are available in standard sizes. Treated pine decking can be stained or painted to whichever colour you wish and to match with your dwelling. Treated pine decking is also easy to work with and thus your deck can be built quicker and for a lower labour as well as material cost. 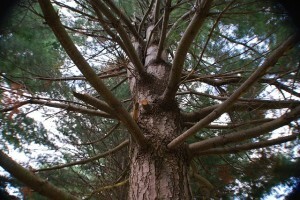 As softwood, treated pine is more susceptive to scratches and dents. Many people argue that the appearance of treated pine decks is not nearly as attractive as other hardwood decks. Hardwoods have natural fire resistant properties and thus a better choice than treated pine should you lives in a fire-prone area. When building a deck with treated pine it is essential that the decking is thoroughly sealed so as to minimise expansion and contractions. If you are looking for a decking material that will provide the greatest longevity then treated pine decking is not for you. A better alternative for you would be iron bark which can last 25 plus years. 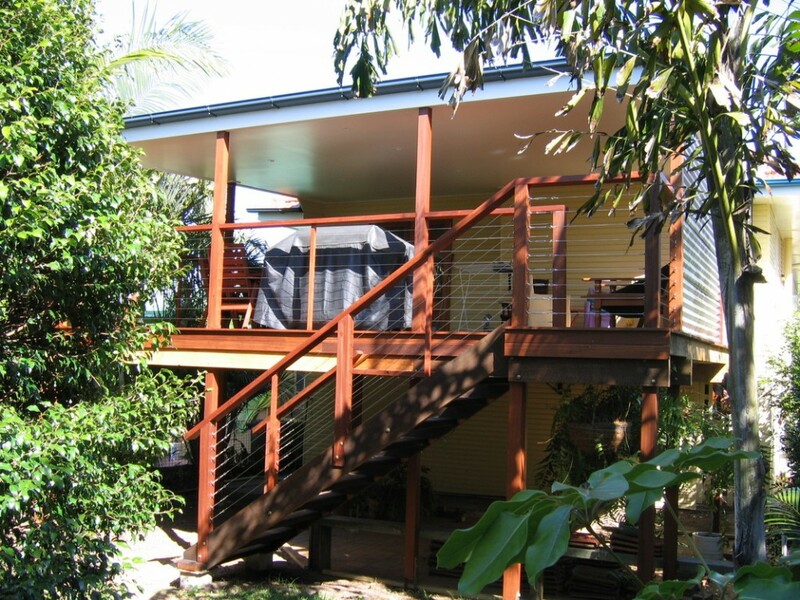 We have built, many, many treated pine decks over the years for Brisbane residents. We enjoy using treated pine as a decking material as it is easy to work with and can provide an attractive and durable deck for a cost-effective rate. 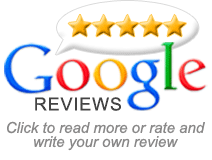 Please call us if you wish to obtain a quote for a new deck or patio that you are planning.